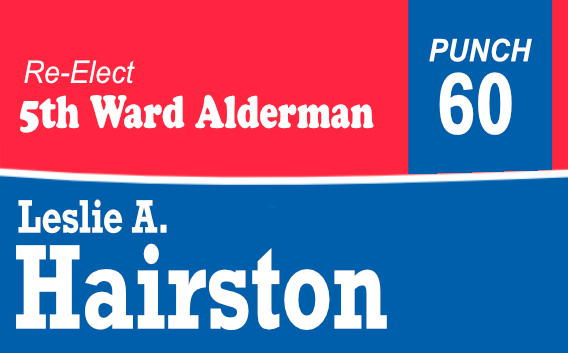 I’m running for re-election because I want to finish the many projects currently underway in the 5th Ward. During my time as alderman, residents have experienced many ups and downs, but we have persevered without losing our independence. That’s the 5th Ward legacy and I’m proud to represent its many diverse communities and residents. Provided $10 million in tax-increment financing to help fund development of the vacant Dominick’s grocery store in Jeffery Plaza. Acquisition and redevelopment of the 113,000 sq. ft. shopping center is underway. Secured $250,000 grant from Neighborhood Opportunity Fund for new black-owned coffee and donut shop at 71st & Jeffery. Long time family owned business, M&R Prescription Center at 1959 E. 71st St., also received NOF grant in effort to support local commercial corridors. Saved former Southmoor Bank from demolition, which has been transformed into the Stony island Arts Bank. The multifunction building houses black publisher John H. Johnson’s archival and private library. It serves as a community center, event space and library. We support the Chicago Policy Project 2019 Homeownership Platform for increasing transparency, inclusion, fairness and affordability in the City of Chicago's housing policies. Introduced ordinance calling for replacement of the Independent Police Review Authority to investigate police misconduct and abuse. Supported civilian oversight board to ensure real police reform and consent decree. Lobbied for Level 1 Trauma Center at the University of Chicago Medical Center to provide an adult trauma center for treating serious injuries such auto accidents gunshot wounds, burns and major falls. Installed turn signal at 55th & Lake Park Ave. Sponsored ordinance for principles of agreement with Obama presidential Center, in consideration of a CBA. The ordinance includes a commitment for project and roadwork of 50 percent WBE/MBE goals. Woodlawn and South Shore. More than 60 percent of workers live in nearby communities. Voted to raise Chicago’s minimum wage to $13 by 2019, however, advocated for a wage hike of $15. Reinstated the 5th Ward triathlon in honor of former television journalist and avid athlete Elizabeth Brackett. The swim, bike, run event will be called the Golden Lady Triathlon. Funded creation of community organic garden through Participatory Budgeting process. 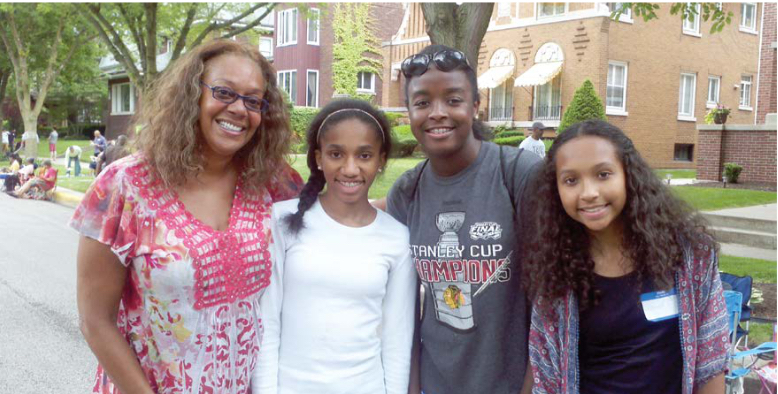 Leslie Hairston gives back to the community.